Perfect Husband came back from the Gold Medal hockey game understandably wound up. After a couple of hours of him shouting incomprehensible things loudly every few minutes, he began to settle down. “You know what I think? The more and more I watch Sidney Crosby, the more I think he’s an introvert,” he said to me as we watched the Closing Ceremonies. I opened my mouth to say that no one who ever played hockey could possibly be an introvert. But a mental image of Sidney Crosby flashed into my mind. Sidney Crosby, sitting quietly and thoughtfully on the bench while the other hockey players around him punched each other and grinned toothless grins. Sidney Crosby, so often accused by his detractors as entirely lacking in charisma, and called “wooden” or “bland”. Sidney Crosby, who has single mindedly dedicated himself to hockey since he was two, with a level of concentration that defies most people… while maintaining top grades in school. It makes so much sense. Introverts make up a high percentage of the “gifted” population, and when it comes to hockey, Sidney Crosby is certainly generally considered gifted – either with natural hockey finesse or an impressive amount of dedication, depending on who you ask. Introverts have better concentration. They can have excellent social skills, but they rarely take the time to develop them, since dealing with strangers is so exhausting in the first place. I think he’s an introvert. I think Perfect Husband is dead right. GO INTROVERTS! GO FOR THE GOLD! I loved the spontaneous hugs by the team when they realized that they had won. Kevin Martin looked SO happy. 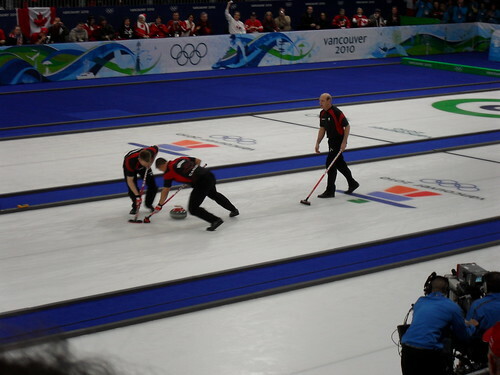 They all looked happy (the Canadians, anyway), but Kevin Martin was clearly over the moon. I actually saw him brush away a tear on the podium. We love you, Kevin Martin. 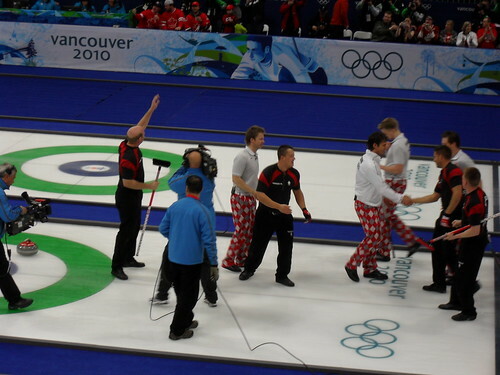 But let us not forget… NORWAY’S PANTS! Only they wore the red ones for this game. We were sad. They aren’t quite as awesome as the white ones. 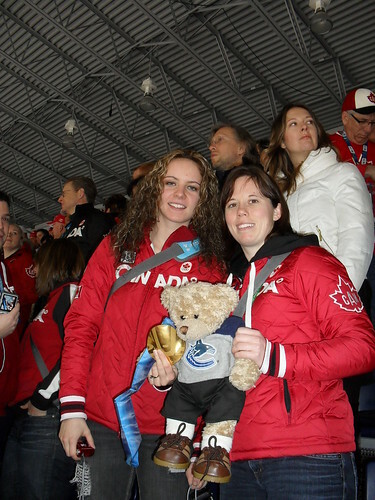 Oh, and some women from the Canadian women’s hockey team were sitting behind us! I asked them to hold my teddy bear, Timothy. He has been to the Eiffel Tower, and to the Leaning Tower of Pisa. He has been to the Toronto Zoo, and the Vancouver Aquarium. He’s an active little bear. But holding the gold medal… that was definitely a high point. I dropped him off at the meeting point, and the torch organizer lady who met us remembered him from Day 1. She called out his name and hugged him, and told him how happy she was that he was getting another chance to run with the torch. She smiled at me, and we talked, and then I drove off to find a place to park not far from his run segment. I was reading in the car, waiting for time to pass, when my cell phone rang and it was Perfect Husband’s number. Only a woman was on the phone. It was the torch organizer, who had asked to borrow his phone and then looked up my number on it (I’m impressed that she remembered my name!). She said the person who was supposed to pass the torch to my husband had backed out at the last minute, and she thought it would be really nice for Perfect Husband if I were the one handing him the torch! Could I get down there right away? I was there in minutes. She got me to hide behind my car while she offered me a torch bearer’s outfit. I was clutching the video camera, with which I planned to video PH’s ascendancy to Olympic glory. If I was running with the torch before him, I wouldn’t be able to video his run, and really, this was his day. So if there was no way around it… I’d rather not run than miss his moment. A phone call later, I was assured that someone from PH’s company would be there to video his run. So she suited me up in the white torch bearer snow suit. PH looked stunned when she led me on the shuttle. He had suspected something was up when she borrowed his cell, but this hadn’t occurred to him. I kept asking if I was stealing his thunder, if this was ok. He said of course I had made the right decision. Let’s face it – I WAS stealing his thunder a bit, but not so much that he wasn’t happy about it. I handed him the video camera and told him to get it to his boss, who was going to be there to video his run. There was a lot of energy in the shuttle. Every time we stopped to let someone off, the people outside would cheer and scream as the torchbearer stepped out, and inside we would scream and cheer too. My segment was a lonely stretch of highway, and of course we had no friends or family waiting for me, so I didn’t get the screaming crowd. But that was fine with me. A lady from my husband’s company met me there and showed me that she had her camera with her. An RBC truck went by and everyone called my name and high-fived me. Then a Coke truck came by and a horde of people in red ran out and hugged me! A guy on a bike came to turn on my torch just as the previous torch bearer came jogging up with the media truck leading in front. I prayed that I would be able to hold the torch without my arm falling off. It was maybe five pounds or so with the fuel in it, but we were supposed to hold it up high so we would a) look proud and b) not catch fire. The flame was passed to me and I high-fived the previous torch bearer, then I set off on my stretch. I did it at a jog, and the people running next to me were like “you don’t have to run, you know!” but I knew I had to because my arm couldn’t hold the torch up for very long! As it was, I was switching hands every few feet by the end of it, and I ran out of steam and plodded part of the way. Perfect Husband was waiting for me. Holding out our torches, I passed him the flame, and then he wrapped his arm around me and kissed me. My torch started to tilt sideways, scaring Bike Guy to death, but I caught it, held it in both hands, and he kissed me again (Perfect Husband, not Bike Guy). Then they loaded me on the return shuttle and PH took off on his run. It was an amazing but emotionally exhausting day. It was only the next day that I would discover that my husband’s boss didn’t press the Record button on the video camera, and so no footage of either of our runs was taken. But CTV took video with the media truck, so we’re going to buy our segment off of them. People have been telling us that they have seen shots of our torch bearer kiss replayed in montage moments over the course of the Olympics, but we have not seen this. One family member saw us in a Coke commercial montage, and another claims to have seen us in the torch montage before the Opening Ceremonies. 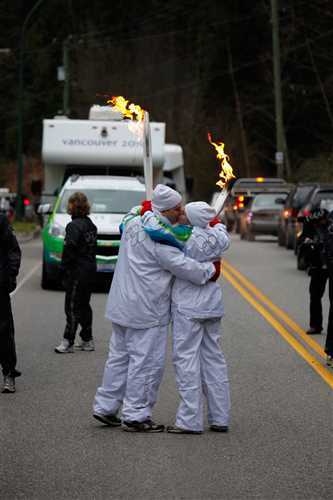 So if you see two torch bearers kissing on TV this week… cheer for us! Also, we now have three torches in the house. This seems excessive. Anyone want a torch? It is the kind of thing that people expect to be the big highlight of their lives. Carrying the torch for Canada, on Day one of the Olympic Torch Relay. Perfect Husband didn’t win an iCoke contest, he was nominated by his coworkers, for all the volunteer hours he puts in at my work place. He has slung dog food, washed dishes, hauled equipment, dressed as Santa, and helped baby sit the many canine house guests I am constantly obliged to bring home with me. His workplace, a big Olympic sponsor, covered the cost of our trip to Victoria and even gifted him with his torch. I don’t think I’ve ever seen him so nervous and excited. He admitted to me that he was more nervous than he had been on his wedding day. I wasn’t sure whether to be flattered or insulted. He said I should feel flattered. He had felt confident about marrying me. As I dressed him in his official Olympic garb, and as he took deep breaths trying to calm himself, many things were on our mind. Would it rain? Would I be able to get a good view of him? Would the camera capture his run properly in the dark, with a glowing flame messing with the auto-focus? But that is what we should have been worrying about. I dropped him at the Empress and stood by proudly photographing him as he talked to fellow torch bearers and officials with clipboards. I saw his shuttle pull up, ready to drop him and the other torchbearers at their assigned start points. It was beginning to rain. I went home, got the umbrella out of the car, and headed off on the five block walk to his end-point (I wanted to catch him running towards the camera with the flame, and then passing it on). I was laden with a video camera, a still camera, a book in my purse, an umbrella, and Timothy the travelling bear, who gets photographed on all my travels. I arrived an hour early, so I got a hot chocolate at Starbucks and sat down nervously to wait. I kept watching the road, waiting for it to be blocked off as a parade route. But cars continued to swish up and down the rainy street in the gloaming. It was half an hour til the run was scheduled. Twenty minutes. Fifteen. People were starting to gather with their kids and umbrellas, lining the road. Parked cars still coated the edges of the street. Traffic still swooshed. If it weren’t for the increasing number of spectators, I would have been seriously concerned that I was on the wrong road. I packed up my book and reloaded myself with cameras, rain gear and bear. I walked to the end point, where a bunch of employees from my husband’s company were handing out noise makers, flags, and pom poms. We had stopped by their workplace earlier and they recognised me now, the wife of the torchbearer. They greeted me excitedly and as we waited they offered to hold my umbrella if necessary when the big moment came. I was trying to figure out how to juggle a still camera and a camcorder, one in each hand, while Timothy clung to the straps of my purse. I played with my digital settings, trying to find a setting that could focus on the bright lights in the darkened street. I fretted that my husband would be a blur as he came by. I worried that the flame would throw everything off. It was half an hour past the time for him due to run, but I wasn’t surprised. We expected delays. When does something like this ever run on time? Then the shuttle went by and we all cheered it as it passed us. But why did it pass us? I was at my husband’s end point. He should have been dropped 300 metres up the road, and the next torch bearer should have been dropped near us. I was confused. Maybe it had been a shuttle for the previous section of bearers, heading back to The Empress? I followed her, calling her. “My husband is the torch bearer for this section. 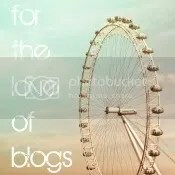 Do you know where they are running now?” I pleaded with my eyes. Please let me not have missed my husband’s big moment. Please. I began to run. People were already dispersing. Adults looked disgruntled. Dampened children in rain coats looked upset and confused. Where was the torch they had been waiting for so long to see? Their parents had told them it would be a moment they would remember all their lives. So where was it? I begged people for information, but no one knew anything. I couldn’t even call him. They hadn’t let him carry any personal items onto the shuttle. No cell phone. It was the first time in years that I hadn’t been able to get a message to my husband instantly with the touch of a button. We text all day long. Now my phone was buzzing. I answered it desperately. Too late. I called the number back instantly and got a voice mail. “You have reached the shuttle…” I left a desperate message, begging for information. My phone began to buzz again moments later. It was my husband, sounding stressed and weary. He didn’t know where they were going. He hadn’t run anywhere yet. The official message for family members was to stay put until things were sorted out. He would let me know when there was news. I returned to my post, and filled in the anxious members of his company. The protesters were coming by. Waving a multitude of signs, ranging from elitism to native land issues to complaints about HST, they had no unified message. They banged on loud drums, and some were dressed as zombies. They won no sympathizers. The cold wet members of the public had been waiting with their children for this one big moment, the one free moment of the Olympic Games, and this loud, scary crowd had robbed them of it. People booed as they passed, and I thought “how stupid.” My Psych-degree sensibilities were offended by this group’s poor judgement. The only way that protesters can bring about the change they desire is by winning sympathizers. Once you convince enough people that women deserve votes, that everyone deserves health care, that gay people should marry, the change you desire can be brought about. You cannot win people’s votes and sway their opinion by ruining their fun. By hurting the little people. By disappointing children and average joes who had won the opportunity of participating in something amazing. You want to win people’s sympathies and get attention? You quietly line the route with signs. As you wait for the torch, you talk to the people around you, make your arguments, get some people to say “I never thought of that…” Then, when the torch goes by, you wave your sign, and get it photographed by the media. There’s your media exposure. No one is angry with you. No one is hurt by your efforts to make your opinion known. You gain sympathizers who respect your professional attitude. None of this Victoria crowd seemed to respect the frightening mob, nor to be at all interested in their opinions. They had hurt children, and won nothing. I had no idea where to go, but a couple of people from his company jumped to the rescue. Going at a run, I was led through darkened streets and along a large, dark park. My legs burned. My chest, still recovering from my cold, was tight and I coughed harsh, racking coughs. When I could run no more, a lady ran ahead of me to see if she could see the torch bearers. Desperate and plodding as quickly as I could, I and my other companion arrived at the site… and everyone was leaving. We passed person after person walking away. Large, brightly lit Coke trucks with glowing neon olympic rings on theirs sides were pulling away from the curb. It was dark, and crowded, and wet, and confused. My companion and I couldn’t find the lady who had led us there. My phone buzzed. “I’m here, I’m here,”I said to the phone. My husband sounded tired. “I tried,” I said, my throat catching. 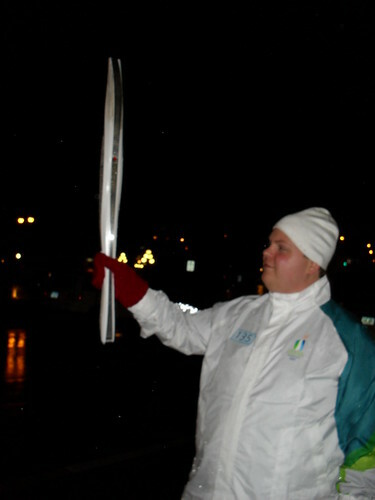 My husband had held the Olympic flame, and I hadn’t been there to see it. My companion, who had promised a friend of hers in Japan that she would photograph the torch, offered to lead me back to the Empress. I had no idea where I was. I was pathetically grateful, and struggling to hold back my tears. My companion and I verbally abused the protesters, and how they had managed to hurt so many members of the every-day public. And for what? At the Empress I found more confused family members. An angry wife and her confused little boy, who wanted to know why Daddy hadn’t gone by with the flame. A worried mother, whose 14 year old daughter had been practising her torch run for months, and whose outfit she had tailored to perfection. We stood for half an hour in the rain, worrying, ranting. Word on the street was that the shuttle was delayed, had been mobbed and stopped by the protesters only a couple of blocks from the hotel. Finally it arrived. The big ceremonies on the stage at Parliament were almost finished, but we had missed it all, huddled in the rain and worrying about the people we loved. My husband didn’t want to talk about it. What was done was done. They had all stood in a line, and one by one the Olympic flame continued along the line. The other torchbearers had picked up the run from there. The protesters had not caught the flame. It blazed on. And only a handful of 10 people, disappointed members of the public, had lost their chance to jog down the road bearing it proudly. My husband’s torch sported the soot of the Olympic flame. He may not have carried the flame, but he had passed it on. We were mobbed for over an hour by excited people wanting their photo with him, wanting to touch the torch, awed by the soot. I stood by the side lines while a line-up of people waited to get their photo taken with my husband, asking him questions which he nimbly dodged. Now was not the moment to be pitied. I could have stood there forever, beaming proudly. How many hours has my husband spent standing by while people asked me questions about the dog that I had to drag with me to the grocery store, the movies, his own workplace? He deserved this moment of glory, perhaps even more so than the people who had gotten to do their run. He was still a torchbearer. Back home, friends and family launched a search to find photos of my husband with the flame. They found two, one showing his face. I emailed the newspaper, thanking them for the photo, explaining that it was all I had. They emailed me back with sympathy, and sent me a high resulution copy. Thanks to the Victoria Times Colonist and their photographer for this photo, which I claim no rights to, except the right to feel proud. Everyone has been making the same joke. Perfect Husband waited for me. For years, he waited. We met in a Shakespearean play (he was King Henry IV, and I was Lady Percy) but we didn’t really notice each other until one day, for some reason, he began singing Lorne Elliott’s song, “The Smallest Thing Known To Man”. To his surprise, I joined in “blushing ever so cutely,” he said years later, “when you sang over the rude bits” . We had the joy of telling Lorne Elliott this in person a couple of weeks ago, when he came to Vancouver. Anyway, Future Husband thought about me occasionally over the next year – the cute girl he was in a play with- but I forgot about him until we found ourselves in Hamlet together the next year, and discovered a shared love of children’s fiction. The friendship formed quickly, and within a year he had become one of my best friends. But I had a boyfriend. He had only recently ended his relationship with his last girlfriend. Romance was not on my mind, and if it was on his, he knew better than to try and do anything about it, because I belonged to someone else. “I wasn’t cutting anyone’s lunch”, is how he likes to explain it. To comments like that, I would simply say firmly that I was in another relationship, and leave it at that. He watched silently as I struggled to hide my deteriorating relationship with my boyfriend from him. When he came to get me for a movie with friends and I shouted him away because I was fighting on my phone with my boyfriend, he went away quietly to the movie with our friends. But when I came down the street twenty minutes later, hoping to squeeze into the movie late, he was standing outside with an extra ticket for me. He didn’t say a word. When I told him one night that I wouldn’t be calling him much for a while, that I would be dropping out of touch, he didn’t ask why, or beg me not to cut him out of my life. He told me later that he had long decided that I was the woman he was going to marry, and he knew it was just a matter of waiting patiently while I sorted things out. When he heard through the grapevine that my relationship of five years had crashed and split apart, he called and asked if I was okay. He listened quietly, not pronouncing judgment on my ex or on me. Even then, he knew he would have to wait more, to give me time to heal. He was used to waiting. For four long years he had waited for me, longing for the day when he could finally feel free to tell me how much he loved me. Months later, when I went to visit him, the day he had waited so long for came sooner than he had ever expected. All those years, he carried a torch for me. But this week, he carried a torch for all of Canada.